The short answer to questions about homeowners insurance is often "it depends." For instance, if you're having foundation problems, the chance that it's insured depends on what caused the damage. A typical homeowners policy covers your house against any sources of damage not specifically ruled out. The most likely causes of damage are on the excluded list, however. Some homeowners insurance policies cover certain types of foundation repairs, depending on the source or nature of the damage. But policies vary in their type and limits of coverage, so a thorough review of your policy will determine if your specific repair is covered. Water damage to your foundation might be covered, depending on the source of the water. Homeowners policies cover water damage, which includes burst pipes or rain water seeping through your roof. 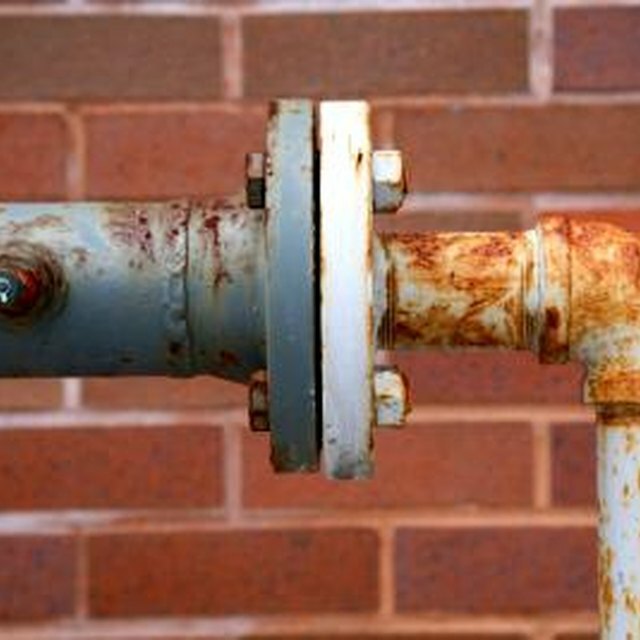 If a pipe freezes and ruptures, for instance, you should be insured against water damage. If water hits the ground, then damages your house, it's flooding, which is only covered if you have flood insurance. Some policies will cover foundation damage from a sewer backing up, while others don't -- look at yours to find out. Earthquakes, mud slides and other earth movements are obviously a threat to your home's foundation. Unfortunately, standard homeowners' policies make a point of excluding them from coverage. Sinkholes, landslides and shockwaves are also usually on the no-coverage list. You can buy earthquake coverage if you pay extra on your policy, but mudslide coverage is harder to find. Some flood insurance policies might pay for mudslides as flood-based damage, but that depends on the insurer and policy. If you discover the builder did a poor job, your homeowners insurance probably won't be any help. The typical policy doesn't cover bad workmanship or reimburse you if the builder used second-rate material. If your builder gave you a warranty and it hasn't expired, that's the way to go. A typical warranty runs one year for labor and materials, and 10 years for structural defects. Read it over carefully to see if your foundation flaws entitle you to anything. Are Basement Leaks Covered by Home Insurance? What Does Your Renter's Insurance Cover? Does Homeowner's Insurance Cover Damage to a Fence From a Hurricane? While earth movement and flooding generally aren't covered by homeowners insurance, many less likely causes of damage are. If a fire damages your foundation, your insurance should cover it. Standard policies also pay for damage from falling objects, such as a plane or meteorite hitting your house, volcanic eruption and vandalism. Even if you are covered, you'll have to pay your deductible before your policy kicks in. After that, your costs are paid for up to the limit of your policy. Even if your standard homeowners insurance policy does not cover certain types of damage to your foundation, such as from flooding, you can purchase a supplemental policy as additional coverage. And you may be able to purchase additional coverage for your existing policy, which may help cover "additional living expenses" in the event you have to stay in a motel while your home's foundation is being repaired.